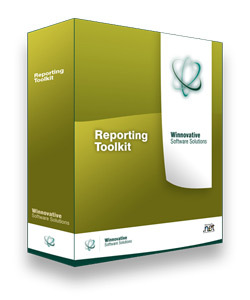 With the Winnovative Reporting Tools for .NET you can easily create PDF and Excel reports from your Windows Forms, WPF or ASP.NET applications. The toolkit includes a powerful HTML to PDF Converter for converting web pages and HTML strings to PDF, a library for reading or writing Excel documents and a chart control for ASP.NET. For a complete example of how to generate PDF and Excel reports containing images, data tables and charts see the online dynamic invoices generator demo application for excel and the online demo for pdf for pdf and excel. Excel Dynamic Invoices Online Demo. Below you can see the main features of each of the toolkit components. Set the PDF document properties like author, title, subject, keywords, creation date, etc. The Winnovative Chart Control for ASP.NET allows you add data visualization capabilities to your web applications. It is a reliable, easy to use, highly customizable and high performance charting control built with 100% managed code. It is compatible with .NET 2.0, .NET 3.5 and .NET 4.0 Frameworks and offers full design time support for Visual Studio 2010 and 2012. Using the live demo you can quickly see the main capabilities of the Winnovative Chart Control for Asp.NET. The full C# source code of the sample is available in the samples folder from downloaded archive. The chart control can be used as a standalone product or as part of the Winnovative Reporting Toolkit which contains besides the chart the control a powerfull HTML to PDF Converter for .NET. Using the reporting toolkit you can instantly create PDF reports containing charts and any other ASP.NET controls directly from a web page.